The Sypase software platform, data sharing network, and industry part­ner­ships enable healthcare providers to bring precision cancer care to every patient who needs it. 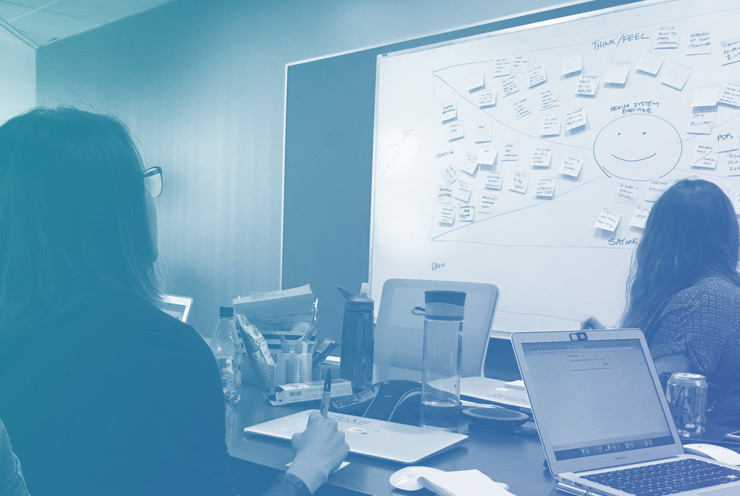 Following their series C funding led by Ascension Ventures, Syapse partnered with The Brigade to create a new brand archi­tec­ture and website that sets the company up for their next phase of growth. Make the complex simple and clear. We started the project by creating a series of empathy maps that identified what their audience is thinking, hearing, saying and doing. This helped us quickly determine how to communicate with them in ways that make it clear how Syapse can help. Clear messaging, showing more than telling, and an intuitive user experience was key to updating the website. The end result was tailored for a range of customer audiences including highly technical industry executives, technicians and the average conference attendees. 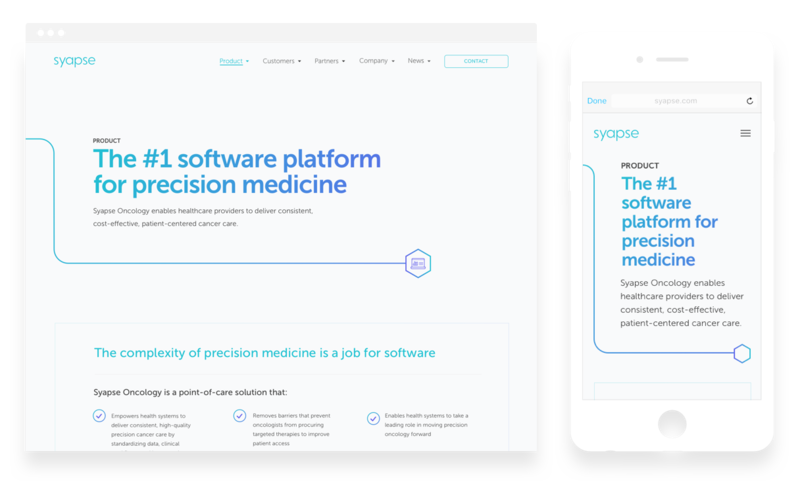 Syapse proudly rolled out their new website and brand identity along with their new brand platform at the annual national oncology conference.